The popular critters are back! This time they are celebrating a birthday by popping out of a present! 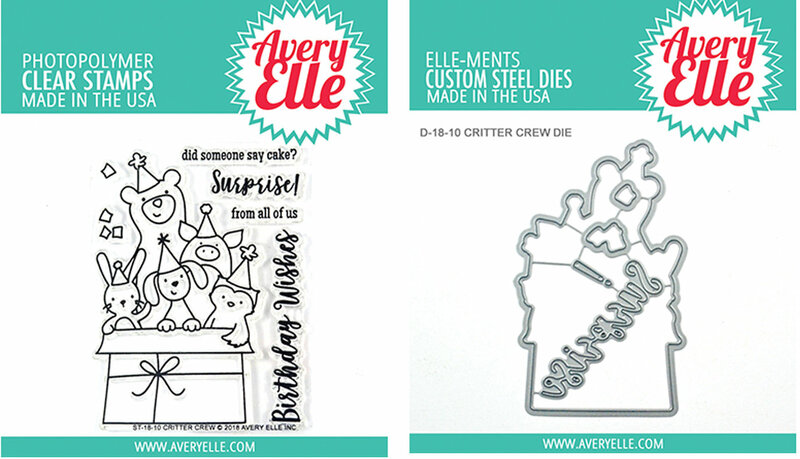 Our Critter Crew stamp set is perfect for a birthday card, gift, or invitation. 7 total stamps. Critters popping out of a present stamp measure: 2 1/8" x 3 5/8"; Surprise! measures: 1 1/8" x 5/16"; Birthday Wishes sentiment measures: 2 1/2" x 3/8". Our Exclusive clear stamps are proudly made in the USA. Coordinating dies included.